As always our gymnasts are busy and working hard! We’ve had some big changes recently – now our tumble and acrobatic sessions are completely separate. We’re looking forward to seeing gymnasts continue to progress in both disciplines. Our tumble track is now being used at our Meadowburn tumble sessions. Once again, thank you to everyone who contributed to helping us reach our target. We are looking to fundraise for new crash mats and a trampette to improve our tumble classes further. This will cost in total roughly £2000.00! We will keep you up to date with fundraising activities after the holidays to help us reach our new target. Any ideas would be welcomed! Please see below list of upcoming cancelled sessions. If any other dates are cancelled we will add this to the ‘Dates for your Diary’ section of the website and post on Facebook. Holly Kelly is attending her UKCC L1 Acro course during the summer. Holly Mardle is attending her UKCC L2 Acro course later on in the year. Hopefully we will have other coaches gaining new qualifications too! Please remember that club updates will be mainly made via Facebook and the club website. With over 150 members we struggle to have letters for every update. You can follow the website and all posts will then be emailed directly to you! Please add the below dates to your diaries for our competitive gymnasts. Any additional competition dates will be added to the ‘Dates for your Diary’ section of our website. If any of our competitive gymnasts are unavailable on any dates below please advise a coach ASAP. We now have our new Nike club tracksuits. These are available from the PSL website. If unsure of sizing coaches will be able to assist. From August ALL competitive gymnasts will require the club tracksuit for competitions. Thank you! From August it will be compulsory that all competitive Tumble gymnasts wear the club leotard for competitions. Acro gymnasts will be able to purchase the club leotard or a matching leotard with their partner(s). We would recommend that lower level gymnasts wear the club leotards as partnerships may change more frequently. These can be ordered directly from the club. On Saturday 23rd June we will be having a fun day at our Meadowburn Training Session. This will be 09:00 – 11:30 and all gymnasts will be welcome to attend. If gymnasts don’t normally attend this session we would ask for a donation of £3.00 per gymnast to add to our fundraising pot. Please wear normal gymnastics attire as we will have gymnastics activities. After our fun day we will be moving to our summer training programme. If you don’t have a copy of this please ask a coach at any session. 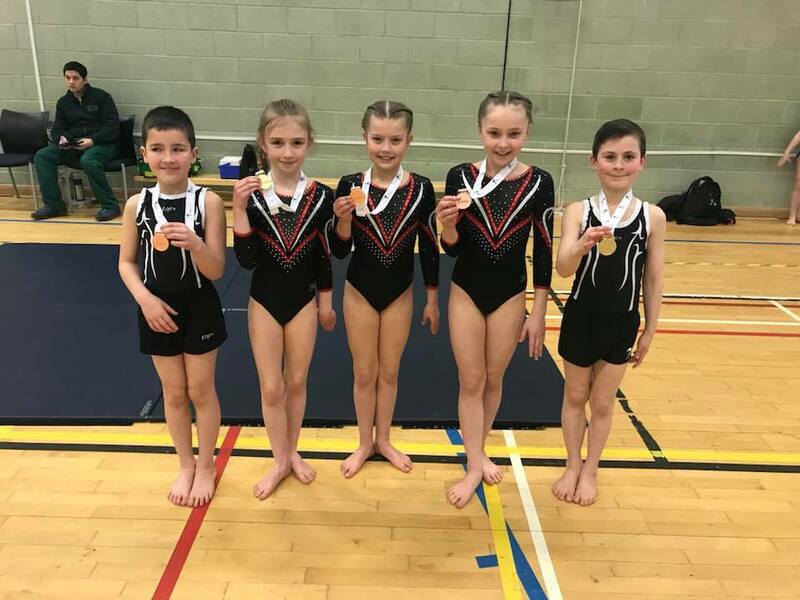 Please remember that standing orders must remain in place or gymnasts will not be permitted to return to training in August. Thank you! If you have any questions please feel free to contact the club via email or speak to a coach at the beginning of any training session. Unfortunately coaches cannot respond to any correspondence directly outwith coaching hours and will not provide personal contact numbers. Thank you! Thank you again to all parents/carers for your continued support.